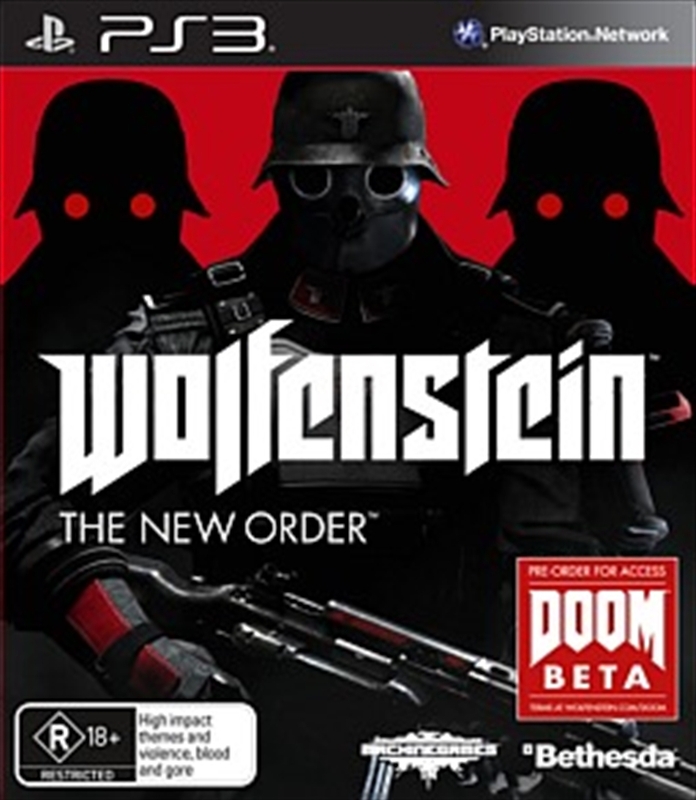 Intense, cinematic and rendered in stunning detail with id Software's id Tech 5 engine, Wolfenstein sends players across Europe on a mission to bring down the Nazi war machine. Infiltrate their most heavily guarded facilities, battle high-tech Nazi legions, and take control of super-weapons that have conquered the earth - and beyond. Wolfenstein is under development at MachineGames, a studio comprised of a seasoned group of developers recognised for their work creating award-winning games. The Assault: Experience intense first-person combat as you go up against oversized Nazi robots, hulking Super Soldiers and elite shock troops - all rendered in stunning detail with the id Tech 5 engine. The Action: Wolfenstein's breath-taking set pieces feature intense mountain-top car chases, underwater exploration, player-controlled Nazi war machines, and much more - all combined to create an exhilarating action-adventure experience.